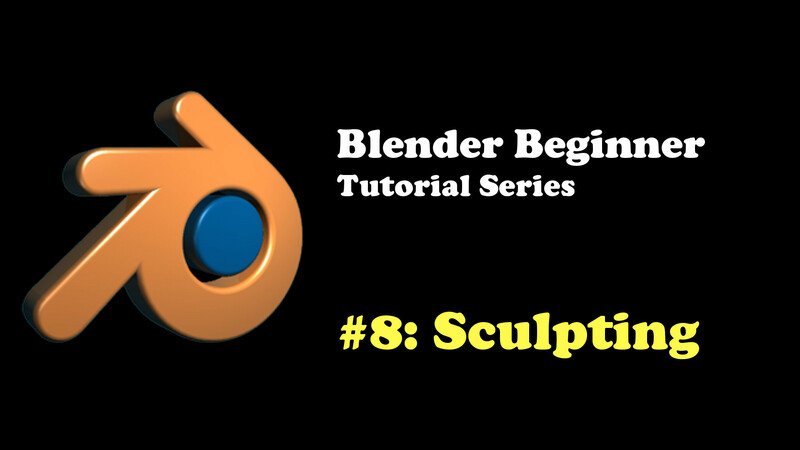 In this beginner Blender tutorial, you will learn about the basics of sculpting! Have you ever wondered how these detailed looking renders were made? All those wrinkles, pores and veins? Well, I guess normal and displacement maps can be good at that kind of stuff but for more higher-end awesomeness, you can achieve this look with sculpting! Sculpting can give even better looking detailed renders compared to modeling by hand or relying on bump maps. 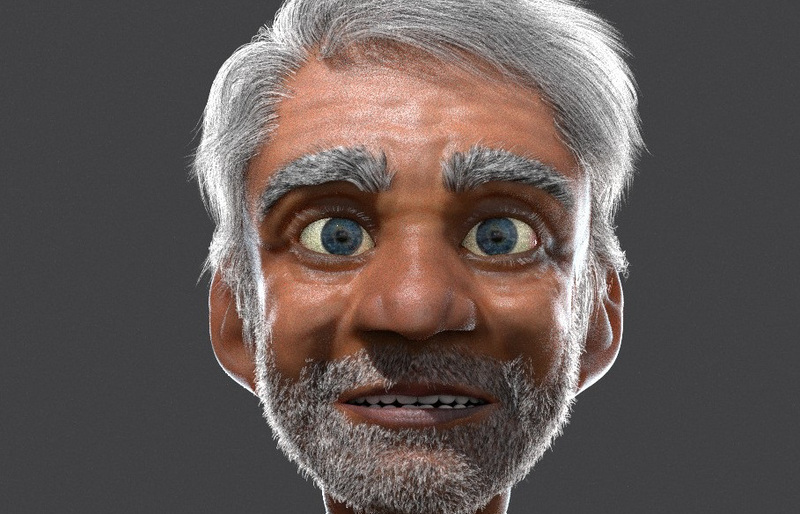 With the latest developments in Blender, such as dynamic topology, you now have the ability to model a complete detailed character via sculpting by starting with just a cube. 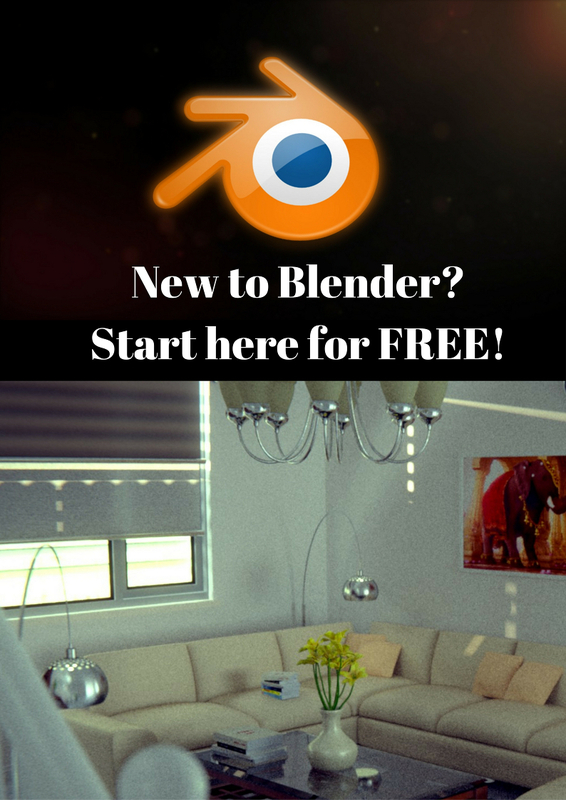 Let’s take a look at how we can sculpt in Blender. 1) First things first, open up Blender. We’ll use the cube so delete the lamp and camera if you want. 2) Of course, you can’t do much sculpting on a cube since it only has 8 vertices. If you want to do high detail sculpting, you’ll need much more than 8 vertices (think 100s to 1000s). 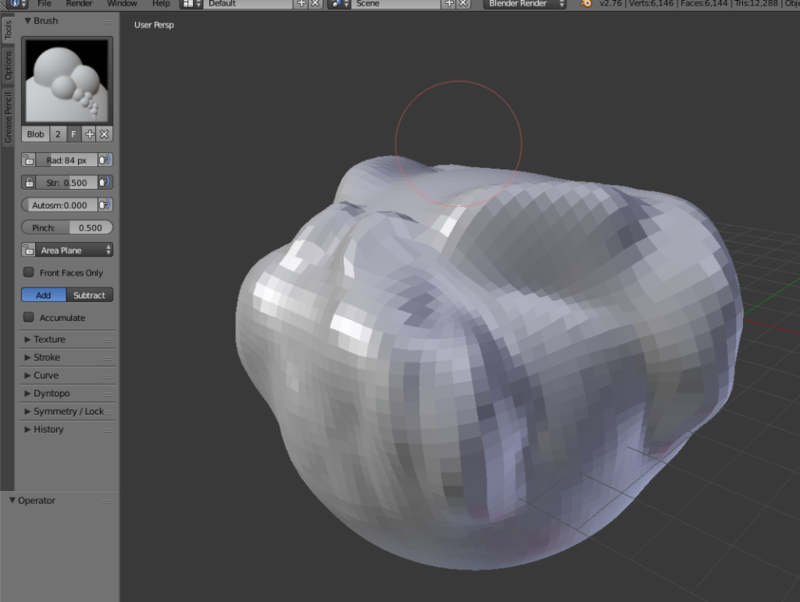 So, all you have to do is just add a Multires modifier on the cube. We can’t use the subsurf modifier when sculpting for some reason. The multires does pretty much the same thing anyway. 3) Bump up the multires to about 4 or so. Won’t give us 100s of vertices but is good enough. The higher the value, the more you can detail your cube (should now look like a sphere) but obviously the higher you push this value, the more you’re going to strain your computer’s processors. I have crashed my computer oh-so many times doing this. Subdivide to around 3 or 4. 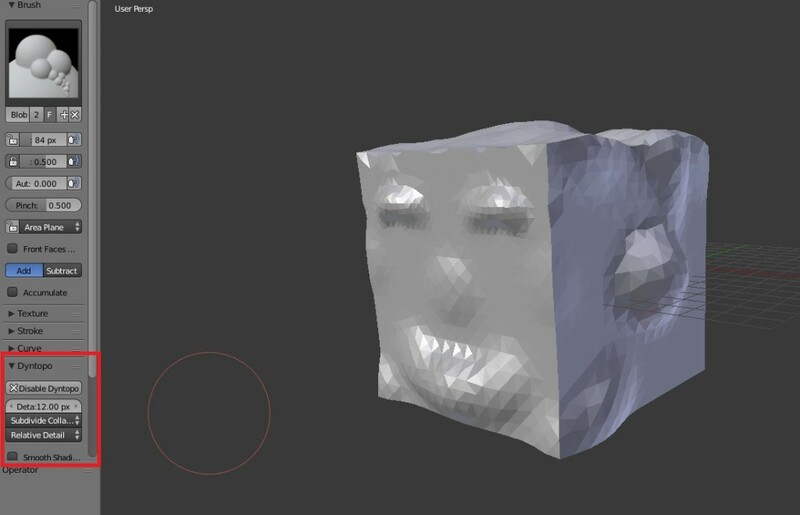 4) Next, with the cube selected, go into Sculpt mode. 5) You should see a bunch of sculpting-related goodness in the Toolbar on the left. Here you can choose different paint brushes and stuff. There are all sorts of cool brushes you can use. For example, the Draw brush allows you to draw on your mesh (cool for drawing veins), the Smooth brush will smooth your mesh, and so on. Pretend as if your mesh is one of those clays you used to play with in school, and the brushes as one of the tools you can use to shape your clay. 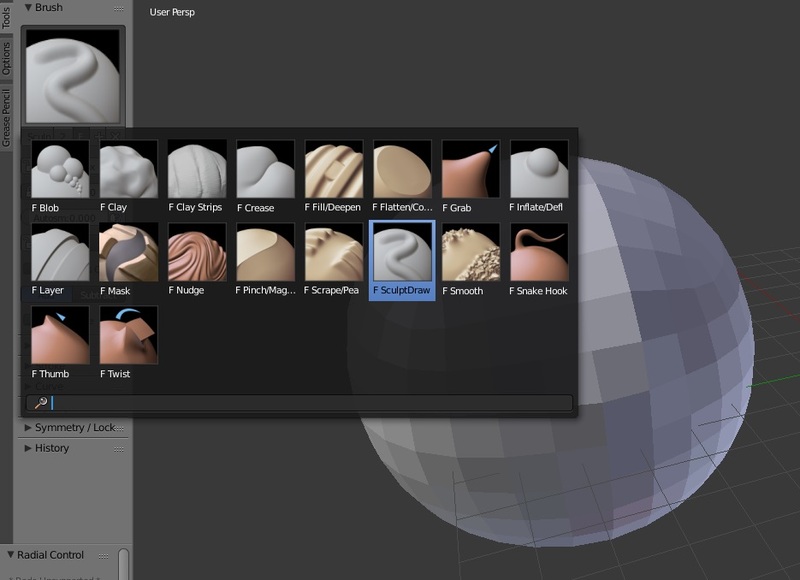 The different brushes available in Sculpt Mode. 6) There are a bunch of options you can play with in the brush settings. You will likely see Add/Subtract buttons on a lot of the brushes. The Add button bumps up your mesh as your draw and the Subtract button carves into your mesh as you draw (cool for drawing wrinkles). Blender has a pretty awesome feature called DynaTopo which means Dynamic Topology. This means that when you use the brushes on your mesh, the mesh will dynamically create vertices for you as you draw. You don’t need to rely on Multires. The good thing about this is that you save a lot of memory, since a dynamic sculpt will only focus on adding a lot of vertices around wherever the detail is required whereas a Multires will add a lot of vertices all over which is just unnecessary and CPU-hogging. The bad thing about dynatopo, however, is that you won’t end up having a nice topology structure once you’ve sculpted. Vertices will be placed randomly here and there and it will just be a mess. Certainly a nightmare to animate with! But there is a way to fix this using a technique called Re-topology, but that is a more advanced topic. To enable dynamic topology in Blender, just go to the toolbar and under Options, you should see a check box with something like “Enable Dynamic Topology” depending on what Blender version you use. 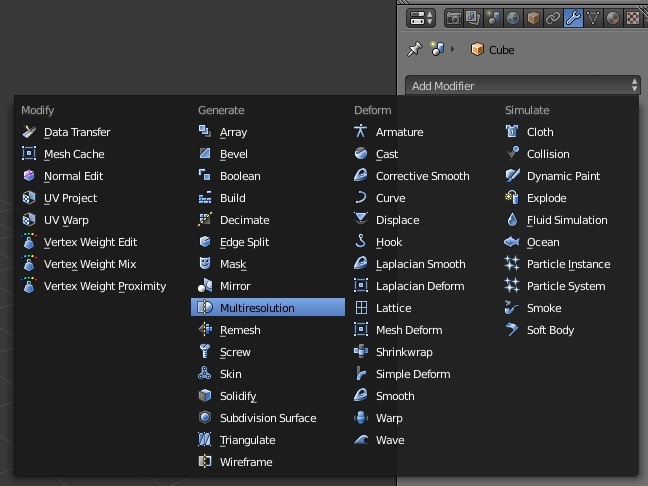 Click to enable and you can dynamically start creating a full detailed character starting from a cube! 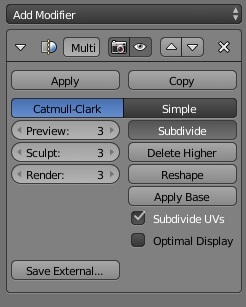 Oh yeah, make sure you remove the Multires modifier, it is not needed anymore, we have DynaTopo now. That’s all! If you find yourself developing a passion for sculpting, I highly encourage you to check out some of the videos on YouTube where artists show timelapses of their sculpts. I find it to be quite enjoyable and you can learn some new techniques and skills just from watching those masters in action!